Have you ever experienced something that can’t be explained? 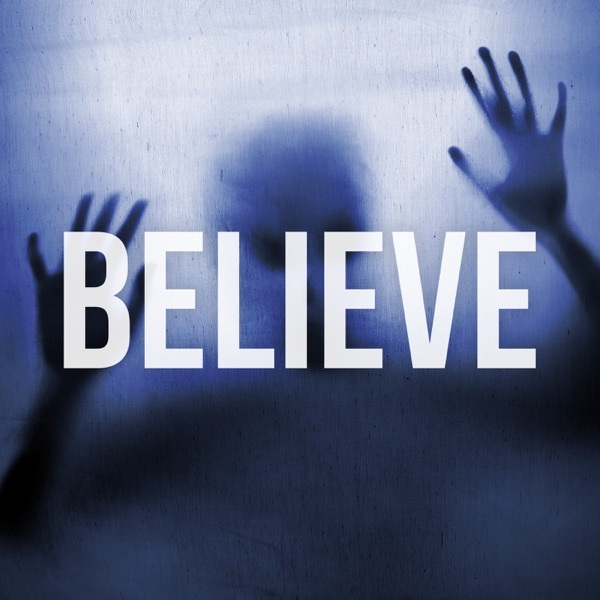 Believe is a podcast where witnesses of the strange and unexplained can share their stories and encounters. Join host Kade Moir for weekly interviews with every day Australians and others from around the world who have witnessed UFO’s, Bigfoot, Ghosts, Paranormal Experiences and the unexplainable! Tonight I have Gary joining me and Gary has had some fantastic encounters with Yowies on the QLD and NSW state borders. He’s had basically every bigfoot experience you can think of, broken trees, wood knocks, grunts, whistling and even infrasound! 13: The UFO flew right over me! Tonight I have Ryan joining us and Ryan has had an encounter with a UFO on the Gold Coast in my home state of Queensland. After talking to Ryan for a little bit it seems like this UFO may have been monitoring or at least following him for a while. Tonight I have Dan joining us and Dan lived in a haunted house down in Sydney. Now you might recognise Dan’s voice and that's because he was actually featured on Episode 6: The Min Min lights of NSW. Now what makes Dan’s haunted house so special is that multiple people have had encounters in this house with one of the encounters being witnessed by a backyard full of people! On this episode we have Andy joining us and he had a really intense encounter with a creature in the bush around the small NSW town of Wagga Wagga. After recording this episode I did a bit of research as to what this creature might be and my best guest is that it might be a goblin. If you have any theories on what this creature is please let me know! Now I also just want to flag a warning to anyone who might have children listening to this episode, it features some very strong paranormal and gruesome details towards the end of the interview so you might want to limit what they hear in this section of the episode. Each week I will read out a new 5 star review that is left for me on iTunes so if you want your review read out simply jump on iTunes and leave a 5 star review and let me know what you enjoy about the show and I just might read it out on the next episode. On this episode we have Ryan joining us and he has had multiple UFO encounter near the base of the Blue Mountains in the Sydney area. He also grew up in a haunted house and has had multiple experiences with paranormal entities. On this episode we have Dan joining us and Dan has had encounters with a multiple min min lights on his property on the mid North Coast of NSW. To find out more hit play! On this episode we have Kris joining us and Kris has had encounters with a Yowie on an almost nightly basis! He also had an aggressive run in with some green orbs on a rural property. On this episode we have Sherryl (now known as Belle) joining us and Belle has had multiple encounters with UFOs from a terrifying experience to being monitored every night in the small Victorian country town of Strath Creek. Belle and her entire family was also interrogated by the Air Force over what they had witnessed. This experience was featured on national news and this can be viewed on this episodes web page along with multiple news articles about her encounter. On this episode we have Paulina joining us and Paulina has had some absolutely incredible experiences from fairies, interactions with beings from other dimensions to even producing hybrid children and that's just scratching the surface. I have been interacting with beings from other places since childhood ad since a near death experience in my mid 20s have been working with them to interact with their imprints in the Earth at sacred sites, to facilitate our changing consciousness. 2: It ended with a UFO crashing! We have Phil joining us, and Phil had a pretty surreal encounter. He witnessed two UFO’s essentially in pursuit of each other with it resulting in one of the crafts actually crashing to earth! In Feb 1980, my brother and I witnessed a chase which resulted in one of the craft crashing into a tree. The crash was witnessed by another chap who reported it. By the time authorities arrived it had managed to fly off, but it left significant damage to the tree. 1: I was living on an Aboriginal burial ground! Welcome to the pilot episode of Believe. On this episode we have a great mix of ghostly encounters, UFO visitations and an interesting bigfoot encounter.